When creating a list of the greatest all-time college football programs, the Miami Hurricanes and Nebraska Cornhuskers will always show up. With ten national Championships, five Heisman winners and 89 Consensus All-Americans, the accomplishments go on and on. The two teams have met five times to decide college football’s national champion, but the stakes are much different this time around. As Miami and Nebraska take the field Saturday afternoon, the focus will be on returning the respective teams back to their previous greatness rather than trying to collect trophies. Neither team has won a national title since 2001 and they’ve combined for just five bowl wins since 2005. For these two programs that have fallen on hard times, winning signature games has become a must. Despite that fact, the Hurricanes have insisted all week that this game is just like any other. Even with the Canes suggesting they’ll take the same approach into this game as they did vs. Bethune-Cookman in the season opener, their defeat last year in Lincoln will likely be a big talking point heading into Saturday. Led by 229 rushing yards from Ameer Abdullah, Nebraska won 41-31 and sent the Hurricanes to 2-2 on the season. While defensive coordinator Mark D’Onofrio won’t have to plan for Abdullah, who now plays for the Detroit Lions, Nebraska still has plenty of weapons on a new-look offense for the Canes to deal with. On the other side of the ball, the Hurricanes and sophomore quarterback Brad Kaaya will look to jump-start a passing game that has yet to fire on all cylinders this season. Against a Nebraska defense that has allowed 692 passing yards in their first two games, Kaaya should have plenty of opportunities to air it out on Saturday. When creating a list of the best teams over the past decade, Nebraska and Miami are nowhere to be found. Winning a game like the one on Saturday is a good place to start if either team wants a spot on the list 10 years from now. 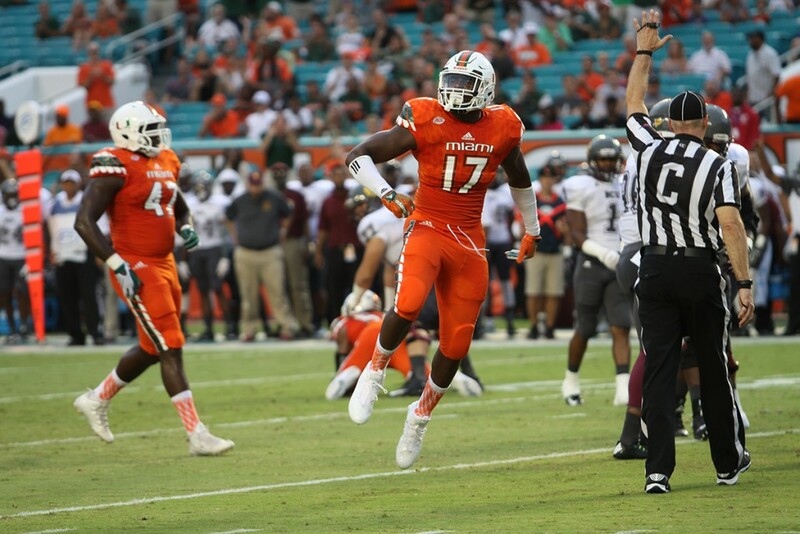 The Canes face Nebraska at 3:30 p.m. on Saturday at Sun Life Stadium.